Can those languages really be categorized in this way or is it just a business strategy to attract customers by giving "two languages" in one book? Another example is Spanish and Portuguese. For those who have learned any of these two should know about the similarities. However, I remind you that even native speakers of both languages cannot communicate with one another easily. Languages also have "family", and languages from the same family share many similarities. Indonesian and Malay belong to the Austronesian language family, meanwhile Spanish and Portuguese belong to the Romance language family. Languages from the same family share the same origin, such as Spanish, Portuguese, French, Romanian, etc. are originated from Latin. Due to the geographical distance, these languages evolved by themselves and eventually, formed new languages. There are three languages that caught my attention lately and what's interesting from them is they represent three regions in this world and they belong to the same family despite the long distance they have been. 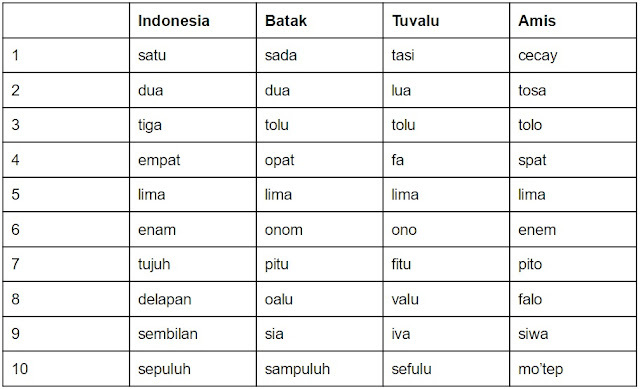 The three languages are Batak, Tuvaluan, and Amis. Here is the brief introduction about them. "Horas!" 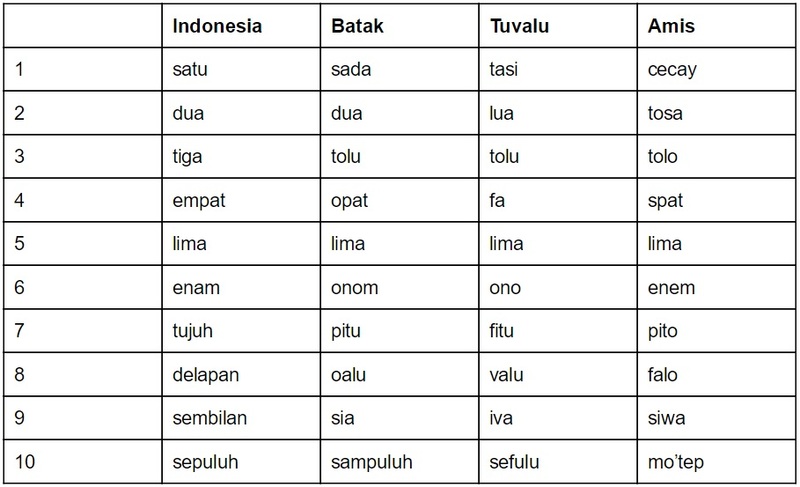 is the most popular Batak word that many Indonesians know. Most of the Batak speakers reside in the province of North Sumatera, and they are divided into several groups, such as Batak Toba, Batak Mandailing, Batak Karo, etc. The writing script of Batak language is called Surat Batak. This language is spoken by around 13 thousand people and it is the language of an island called Tuvalu, which is located in the Pacific Ocean. 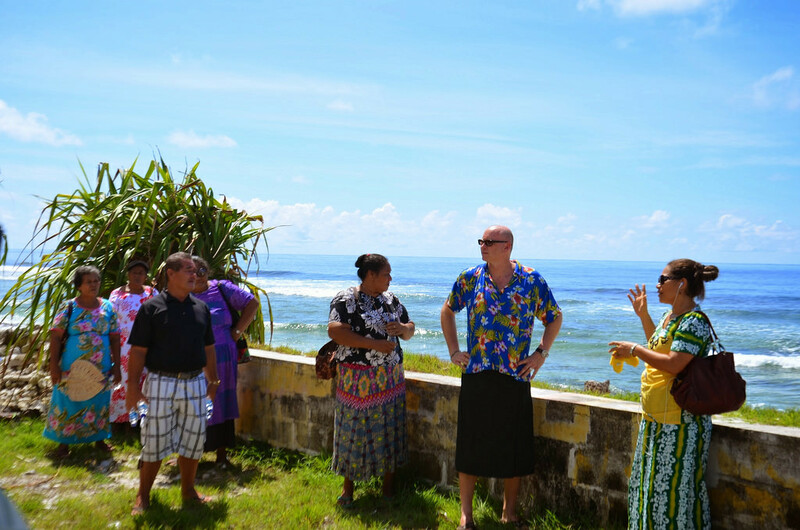 During the development, Tuvaluan language has got influence from Kiribati, Samoan, and English. Some examples of Tuvaluan words are talofa (hello), fakamolemole (please), fakafetai (thank you) dan tofa (goodbye). Many people must have not known that Austronesian languages exist in Taiwan. One of these languages is called Pangcah, or usually known as Amis language. Amis is the biggest of around 20 indigenous languages of Taiwan. 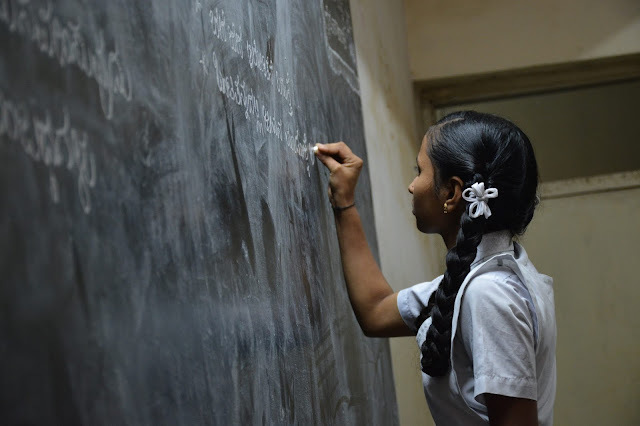 In order to preserve these languages, Taiwanese government has introduced a writing system, language courses, and certification exams for the public. Here is an example of numbers in Batak, Tuvaluan, and Amis. I also inserted the Indonesian language for comparison.